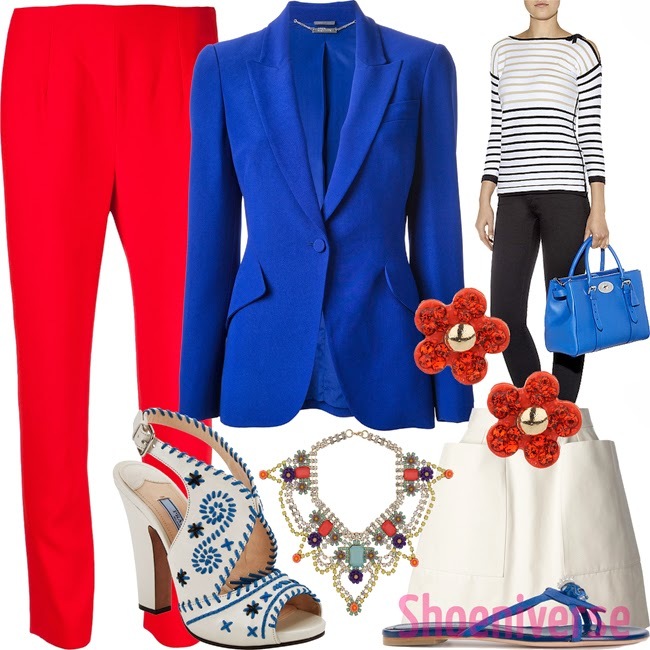 We are being a little bit spoiled for choice with the latest McQueen pieces, including bright tailored classics like the red cropped pants and cobalt blue blazer as seen above. They form a part of the Shoenivers Capsule Collection for Summer 2014 which you can find here. As well as a fair bit of McQueen, there are also bargains to be found too. I've included some extremely pretty little summer dresses, jewellery and other essentials, all of which are bright, breezy and utterly perfect for Summer 2014. I'd love to know also, what's your go-to summer shoe style? I will be adding some collections for essential Summer footwear and wondered what the general consensus is. Do you live in flip flops or go crazy for wedges? Let me know in the comments please!